The company is a known Casting Powder Manufacturer, Exporter, and Supplier in India. The continuous Casting Powder is available with us for all types of steels and various casting formats like billets, blooms, and slabs. How It Works : Casting Powder contains low melting constituents which instantly generate liquid slag which penetrates into the gap between the mould and the solidifying shell of the billet. Casting Powder is added in small amounts and continuously over the casting duration. The melting of the Casting Powder occurs slowly in layers. Hence, the top surface of the liquid metal in the billet / slab / bloom always remains protected from the atmosphere. 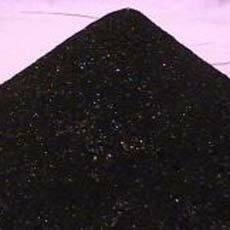 Uses : Traditionally Casting Powder is used for bloom and slab casting. Now designed for billet (open) casting also as an alternative to mould oil for some plants.